What is the Best Air Fryer for One Person? I’m sure you have seen all the articles and social media posts raving about the wonders of the air fryer. Definitely the hot kitchen appliance of 2018, it seems like there is a new model being released every month. Trying to sift through the information and reviews on these products can be frustrating, especially if you are trying to decide if one is right for your household! What if you are single? Can you use one in a small kitchenette or dorm room? Which capacity is the right for your situation? I’m here to help you decide if a compact air fryer is right for your household. 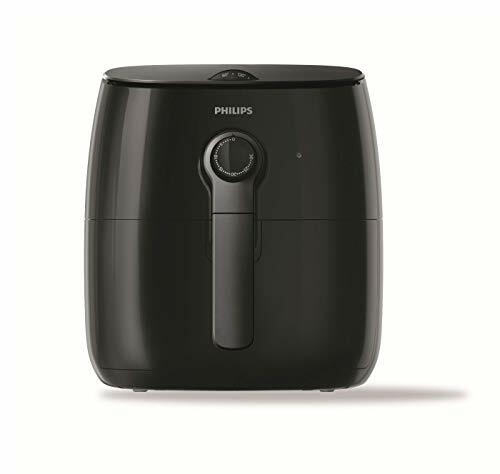 Is An Air Fryer Right For Me? 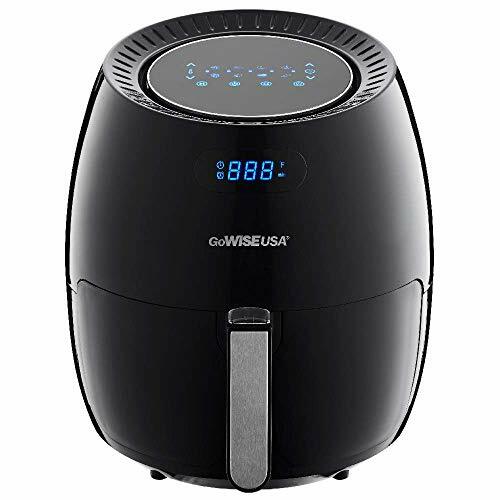 Should I Buy an Air Fryer? This trendy fryer is a modern unit in a retro package. The manual controls are simple to use, just pick your temperature and set the timer! The temperature range is 170-400F and the timer can be set from 1-30 minutes. It has an auto-shut off so your food won’t burn, and the stay-cool basket handle will never get hot. The inner pan and basket can even be washed in the dishwasher! 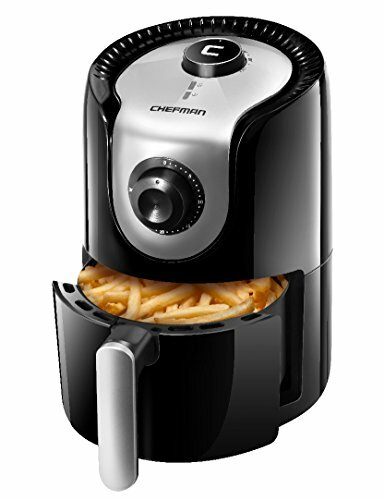 The capacity is perfect for making a pound of fries, chicken nuggets, chicken breasts and roasted veggies. It weighs 5.7 pounds, so is easy to move around as you need to. The choice of 5 colors means you can match it to any decor. The perfect choice for a single user or a dorm-room snack maker. This extremely compact fryer is a great choice for those who live in tight spaces! With easy-to-set manual controls, you can control the temperature from 180-390F. The integrated 30 minute timer has an auto shut-off feature for extra safety. The basket has a unique stay-flat pan which adds extra capacity without sacrificing the compact design! The black and silver exterior will fit in any room or kitchen, and will stay cool during use. The basket and inner pan are non-stick and dishwasher safe. With a tiny footprint and weighing only 1.1 pounds, you will have no trouble moving this unit around and storing it away. It is the perfect size to make a meal for one or a main/side dish for two! At twice the size of the smaller units, this compact fryer can hold up to 2.2 pounds of food! The adjustable thermostat goes up to 400F and the 60 minute timer with auto shut-off will ensure you never burn your food. Both the temperature and timer dials are located on the front of the unit are are easy to set. The modern-looking black and silver exterior will stay cool-to-the-touch during use, and is easy to wipe clean. The inner basket and detachable pan are both non-stick and dishwasher safe. At 2.5 quarts, this unit has the capacity to make a meal for one or snacks for more. 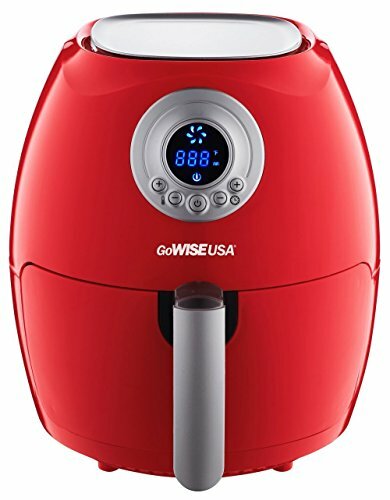 If you are looking for the most value for your money in a compact fryer, then the GoWISE is the go-to choice! The digital controls make setting it a snap. The temperature is adjustable from 170-400F and the timer can be set for up to 30 minutes. The unit has an auto shut-off for safety and will turn off when the basket is opened. The modern exterior is designed to stay cool to the touch while in use, and comes in a variety of colors. It has a compact shape that will look great in any kitchen or room, and it is the perfect size for making a meal for up to 2 people. There are several accessories that GoWISE makes for this unit that can expand your cooking options. It is the best value for the features and capacity. If you are looking for the biggest capacity and highest quality compact fryer, then look no further than this unit! Phillips has been refining their fryers for years, and this unit is a great example. The manual controls are easy to see and set. The temperature range is from 80-400F and it has a 30 minute timer. The TurboStar heating technology means it preheats quickly and you won’t have to shake your food as often to get even crisping. This sleek looking black and silver unit will look right at home in any kitchen, and is easy to wipe clean. This fryer is a heavy 15 pounds and could be more difficult to store away. The basket and inner pan are both non-stick and dishwasher safe. This is a premium unit for those who don’t mind paying more to get the Phillips name backing their purchase. There are a lot of great accessories for this fryer as well! Air fryers are a versatile and easy way to make foods usually cooked in a deep fryer without the extra grease and the messy clean up. They can also perform other cooking tasks like reheating, baking, grilling, roasting and even stir-fry. These units are much faster and more energy efficient than using an oven! 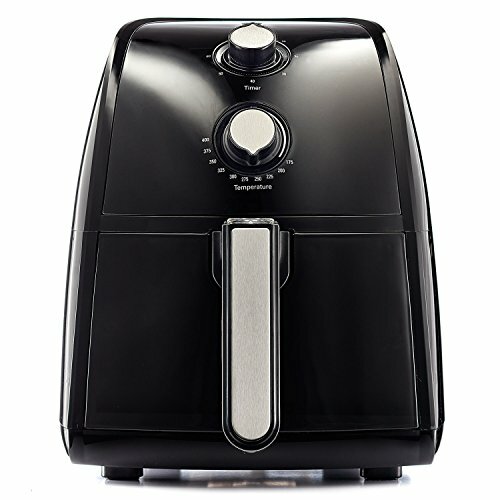 Compact air fryers do the same job as the full sized models, they just have a smaller capacity. In order to keep the size of the unit small, these units have fewer features as well. Compact air fryers usually have a capacity of 1-3 quarts. That’s enough room to make a couple of servings of fries or mozzarella sticks, an omelette, a couple of chicken breasts or a grilled sandwich. They are best for small kitchens, RV’s or dorm rooms, and for folks who want to make food for 1 person. The nice thing about these compact units is they are easy to relocate and store, since they are about the size and weight of a coffee maker. There is a lot of variation in the amount of food the compact models can handle. The larger units can cook more than twice the amount of food at a time as the smaller ones. Pick the model with the most capacity to meet your needs. If you plan to use the unit to cook for more than one person or to make multiple dishes, you may prefer one of the larger compact models. Compact air fryers are really the perfect cooking appliance for people living in tight spaces. Since they can fry, bake, grill, roast, reheat and even stir-fry foods, their versatility really pays off at meal time. You are best getting the largest unit you can to suit your needs, as it is easier to have the extra capacity if you need it. In the smaller units you may have to cook in batches. The larger units are usually only $10-20 more than the smaller, so if you have the room they could be the better choice for your household. These units have fewer features than the full-sized air fryers, but they do a great job! Most of the featured compact fryers mentioned here are easy to move and store, making them perfect for a small living space, dorm or RV. Even better, they won’t heat up your space and you can use them in place of an oven or microwave.